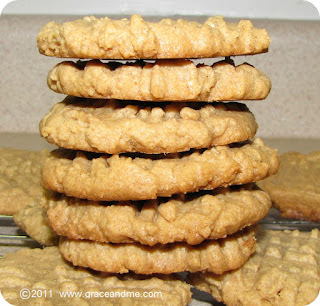 Drop by teaspoon, onto parchment paper-lined baking sheet. I get about 18 cookies. Flatten with a cold fork. 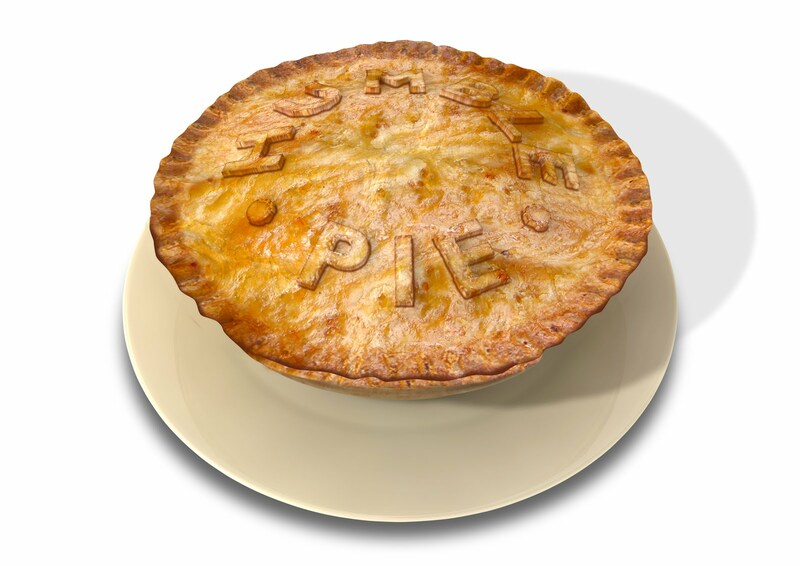 Bake 7-9 minutes at 325 degrees. Do not over bake, the edges and bottom will barely be brown. Cool the cookies on baking pan for 5 minutes, transfer to cooling rack until thoroughly cooled. 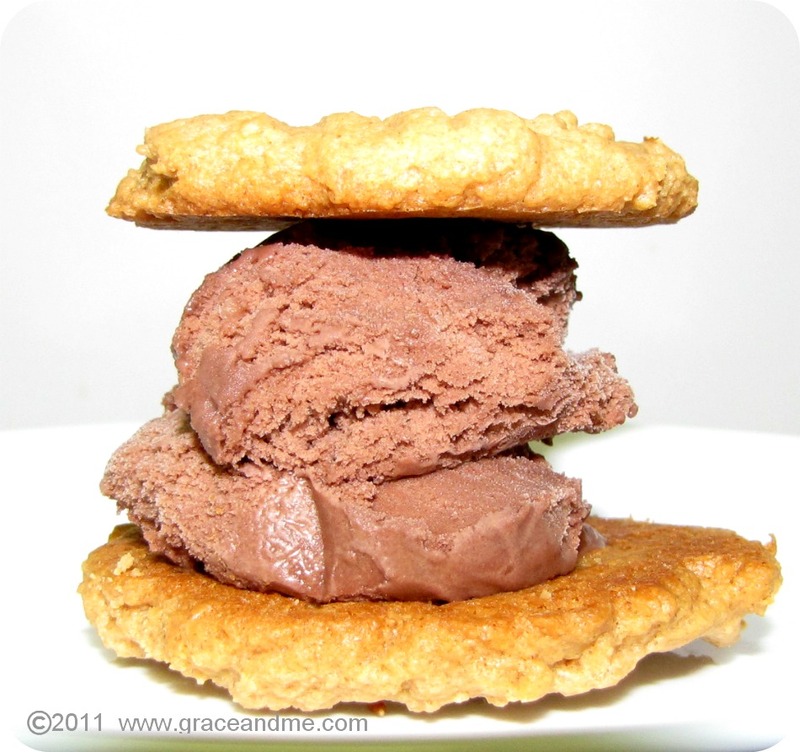 To make Ice Cream Sandwiches: Scoop 2 Tablespoons of your favourite ice cream and place between two cookies. 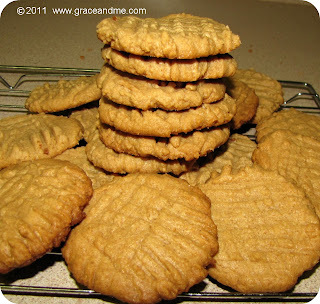 The full cookie recipe and instructions are posted here, Flourless Magic Peanut Butter Cookies.